Interested in becoming a social worker? Social workers are employed in a variety of settings, ranging from schools to hospitals. They help people cope with a number of issues such as substance abuse, finance, and personal relationships. Some social workers (known as clinical social workers) may also diagnose and treat people with mental, behavioral, and/or emotional issues. Social workers require general education, experience and a number of soft (interpersonal) skills. Here are a few tips on how to gain the necessary experience and skill to find a job in the social work field. Most social workers earn at least a bachelor's degree with a major in social work. Many social workers go on to acquire a Masters in Social Work (MSW) degree after college. MSW programs will consider candidates from a broad range of academic preparations, but you should take at least a few courses in psychology, social work, sociology, or a similar discipline while an undergraduate student, if possible. Social workers must be caring individuals with a high level of empathy for clients who are confronted with personal, family and social problems. At the same time, they need to maintain an emotional distance and avoid internalizing the problems of their clients in order to prevent burnout. Social workers need strong listening and counseling skills to draw out information from clients and to help them recognize feelings and issues interfering with relationships and/or their psychological well-being. Social workers must have the analytic and problem-solving skills to assess client situations and recommend alternative strategies to address issues. Patience is required to deal with clients who resist change or fall back into counterproductive behavior patterns over time. 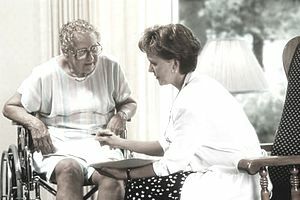 Persuasive abilities are often required to encourage clients to make necessary life changes or to enlist the cooperation of outside agencies on behalf of clients. Social workers typically have a pattern in their background of taking on helping roles. Consider volunteering with community organizations as a high school and college student to demonstrate your caring nature. Explore roles where you help others at your school or in the surrounding community like Big Brother/Big Sister, peer advisor, resident life assistant or camp counselor. Hiring in social work will be heavily influenced by the perceptions that employers have about your interpersonal style and communication skills. An excellent way to demonstrate those qualities and to make valuable contacts is through informational interviews. Reach out to family friends, alumni, Facebook and LinkedIn contacts and local professionals and ask for introductions to social workers whom they know. Mention that you will approach these individuals for advice and suggestions about launching your career in the field. These informational meetings can often lead to referrals for jobs and interviews if you hit it off well with your contacts. Professional associations are another great place to begin networking. Join the National Association of Social Workers as a student member while you are still in college. Attend conferences and meetings to meet other professionals. Volunteer to help staff conferences and you will meet even more helpful professionals. Utilize the social networking groups established by the NASW to network with professionals online. Use community service directories like those offered by many local United Way organizations or sites like Idealist to identify organizations with a focus on issues of interest to you. Reach out to social workers on staff or agency directors for informational consultations as a budding local professional learning about various roles in social work. You can also use the same directories to identify target organizations and apply directly for jobs listed on their websites. Another approach is to forward a letter and resume asking for consideration for any open social work positions at target organizations, since some jobs may not be posted on their website. Update your resume and cover letter. Before you start applying for jobs, be sure your resume is updated. Take the time to write a targeted cover letter for each position you apply to. Peruse specialized social work job sites to find job listings. Search Google for "social work jobs" or "social worker jobs" to find sites. Search job sites like Indeed and SimplyHired by keywords like “social worker,” “youth worker,” “counselor,” “case manager,” etc. to retrieve additional listings. See below for a list of common job titles.